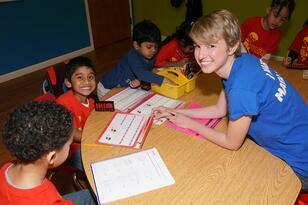 Math Genie teaches children to develop laser-sharp focus. 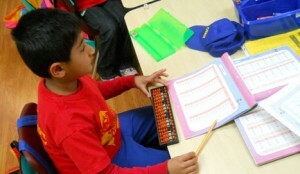 Our methods and learning materials train students to concentrate at the highest degree. 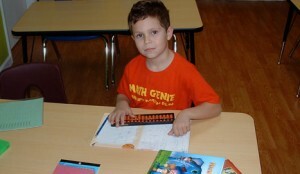 We improve your child’s self-confidence by emphasizing positive-reinforcement. As your child excels in math, self-confidence increases. 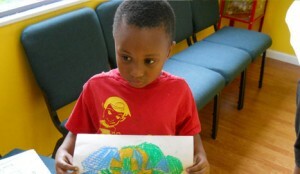 Math Genie students learn to visualize, which uses the right side – or “creative side” — of the brain. Once this happens, creativity is unleashed. 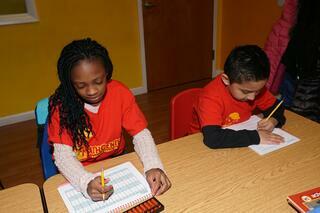 Many Math Genie students have started writing short stories and poems. While the creative right side of the brain is being exercised, the “logical” left side is being used to do mathematical calculations. This combination of creativity and logic helps your child strengthen the whole brain. Mental math also has the effect of exercising a child’s visual cortex, which enhances pattern recognition. 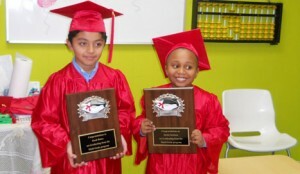 Many Math Genie students have reported increases in reading comprehension by two grade levels. 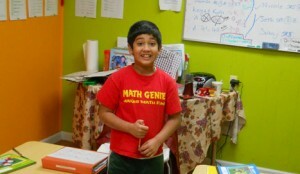 Math Genie students excel in sports because they have learned to focus so well. In addition, their enhanced visual abilities allow them to react quickly and recognize patterns. In this way, they are better able to anticipate play. With improved self-confidence, enhanced focus and newfound ability to retain and learn quickly, your child’s grades will improve in all subjects.